PT Indofood CBP has thrown a new challenge to PT ABC President Indonesia by announcing the entry of Pop Mie into the real meat category. ABC Yomp Super Bowl, launched at the end of 2016, was the first bowl noodle in Indonesia with real meat, a move by ABC President Indonesia to differentiate itself from the heated competition between Bakmie Mewah (Mayora Indah) and Real Meat (Indofood). The new Pop Mie Meaty comes in two variants – Beef Curry (Kari Sapi) and Chicken Soto (Soto Ayam). The meat pieces are packaged in a retort pouch. Unlike ABC Yomp Super Bowl where the chicken curry has not only real chicken pieces but real potato bits, the Pop Mie Meaty Beef Curry only has beef pieces. 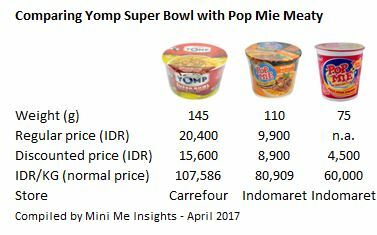 Compared with ABC Yomp Super Bowl (145g), Pop Mie Meaty is smaller in size (110g) but significantly cheaper than ABC Yomp Super Bowl. This makes Pop Mie Meaty extremely competitive in price against its competitor. The difference in price between Pop Mie Meaty and Pop Mie Instan Ayam Bawang Spesial on a per unit price basis is +35%. By adding real meat in the bowl noodle, Indofood CBP is able to improve the selling price and hopefully margin. Pop Mie Meaty is aimed at consumers aged 20-30 years old, while the regular and mini Pop Mie has a younger audience, the millenials, aged 15 to 25 years old, said Vemri Junaidi, Pop Mie senior brand manager when speaking to MIX, Indonesia’s largest marketing communication media. Below is the Pop Mie Meaty TVC. The new Pop Mie Meaty does present a strong challenge to ABC Yomp Super Bowl in terms of price. 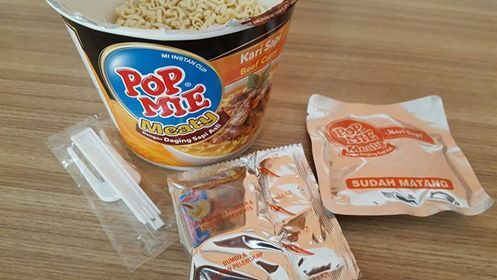 The launch of Pop Mie Meaty is also part of the on going plan by Indofood CBP to launch more higher-priced products to boost sales value in view of stagnating volume sales in the noodle division. 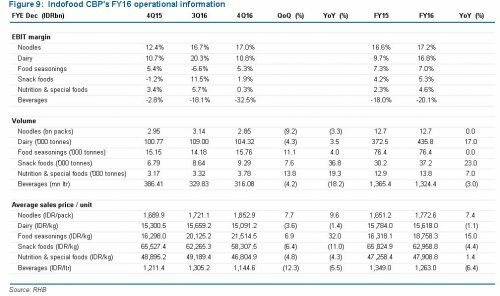 Sales revenue of the noodle segment in 2016 grew 7.2% over 2015, according to Indofood CBP FY 2016 financial statement. 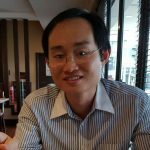 By launching a new premium product in the bowl segment with real meat, it is also likely that Pop Mie wants to engage with the older segment to extend the Pop Mie brand from focusing solely on millenials.